Breaker of control pads, wielder of hammers and master of cheating A.I. button-reads, NetherRealm Studios has revealed that Shao Kahn, former emperor of Outworld, will be making his presence known on Kombat Kast next week. The infuriatingly broken final boss of Mortal Kombat II, Shao Kahn has been a thorn in the side of Earthrealm's warriors ever since. Having been eaten by Elder God dragon things at the conclusion of Mortal Kombat 9, the warlord will make his grand return in the story mode of the upcoming Mortal Kombat 11. 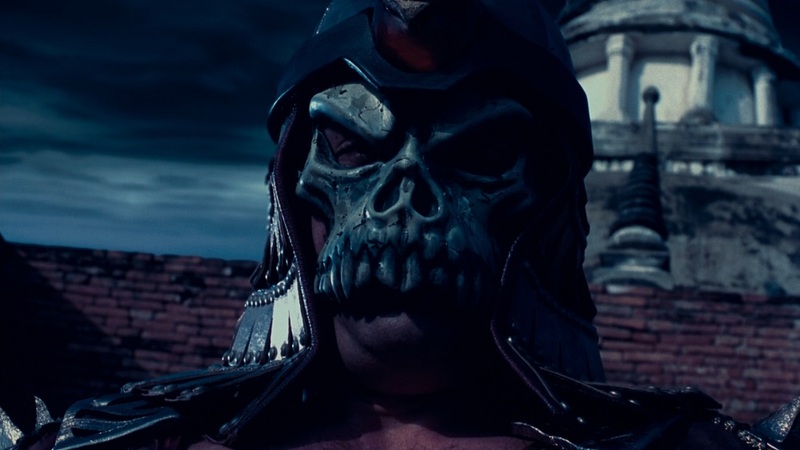 On April 22, the Kombat Kast krew will check out what this Triple H-looking maniac brings to the fight this time around. Hopefully Kahn won't be quite as indestructible as he has been in previous encounters. It's worth noting that Shao Kahn is specifically a pre-order bonus for MK 11, so showing him in action just one day before release seems a weird flex... Did I use that term correctly, kids? Mortal Kombat 11 launches April 23 on PS4, PC, Xbox One, and Nintendo Switch.